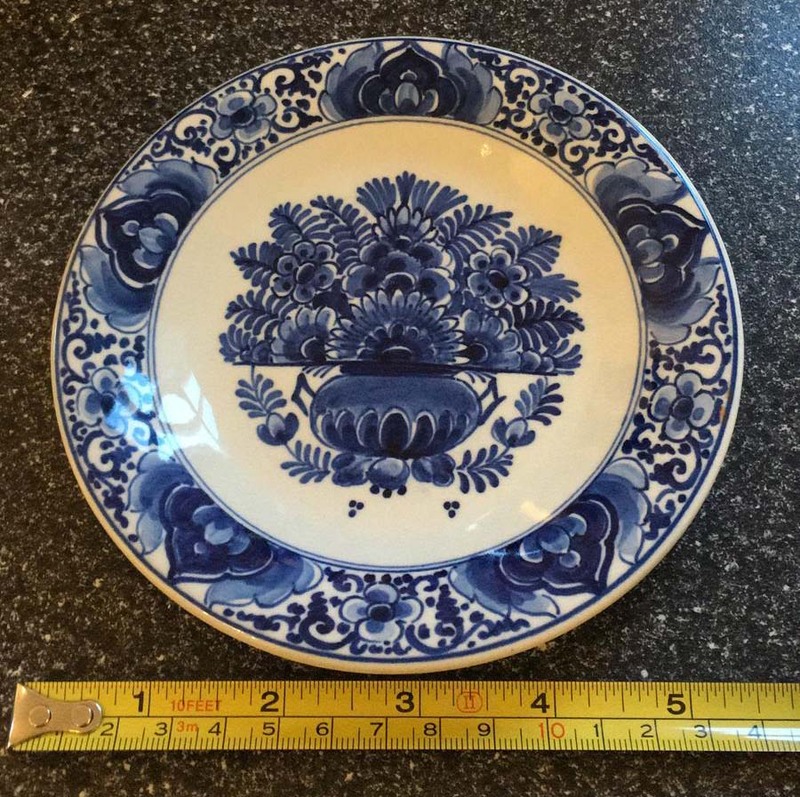 I appreciate there are copious examples of Delft plates on the net, but I have yet to find this one...and it has a number of marks on the reverse. 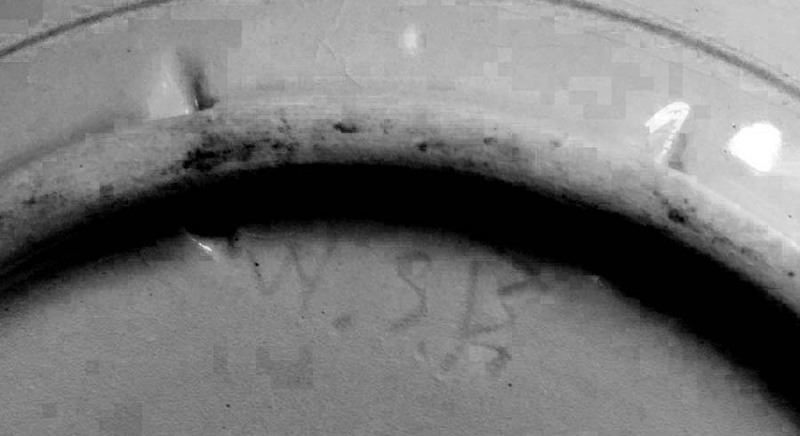 Can anybody 'clue me in' to what these marks mean in order to identify the maker and the date? The light mark looks like 'WSB' but I'm not certain. Thank you janetpjohn, this is very helpful. Looking at my plate, it looks like the date letter is 'L' which would equate to 1890. The artist is 'signed' as LVE. 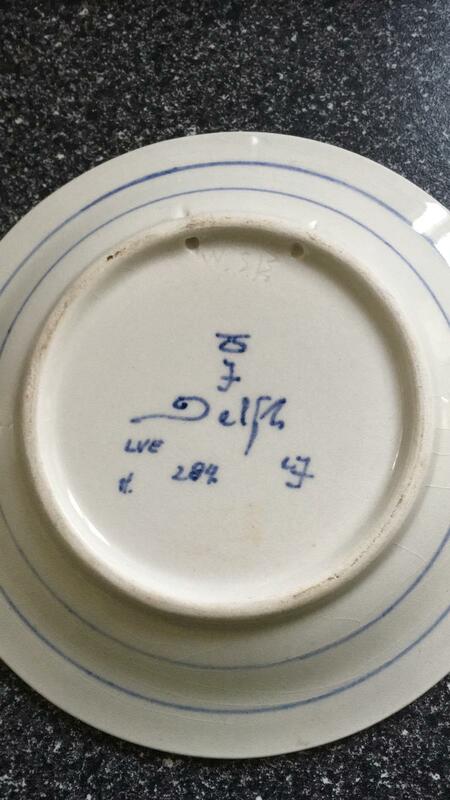 Despite looking, I could not find a list of Delft artists: are you aware of a source which would give me the opportunity to decipher 'LVE'? I've assumed the date letter of L (1890), but it could be CF (1961) or CJ (1965)! I would go with CF, because it looks like the F in the mark above. There's a book for Royal Delft, by Erickson, but I don't have it, and it's out of my price range for something I would only use in a blue moon. I haven't found artist marks anywhere on the internet. Thanks again janetpjohn, I shall have a look for the book.